How can I permanently delete Microsoft OneDrive? I really hate OneDrive and find the whole concept of cloud storage dangerous and stupid. 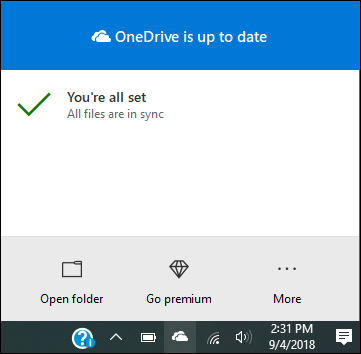 And yet, every time I start up my Windows 10 computer, it prompts me to log in to my OneDrive account. How can I get rid of the prompt and OneDrive itself? Not sure where you enmity towards cloud storage and backup services comes from given that tens of millions of users utilize these handy services on a daily basis. It is true that your files end up stored on remote systems that you don’t have control over, but there are also some services that are focused on encryption and privacy. Lifehacker has a good article where they outline three obscure services more interested in helping you use cloud storage while retaining your document privacy that you might want to read. They are SpiderOak, Wuala and Tresorit, if you’re curious. At AskDaveTaylor we utilize two primary cloud storage systems: iDrive for secure system backups of our computers and Dropbox for photo sharing and other document sharing. Both have worked great for years and are completely invisible 99% of the time. I have OneDrive set up, but never use it, fyi. And so, let’s get back to your question. 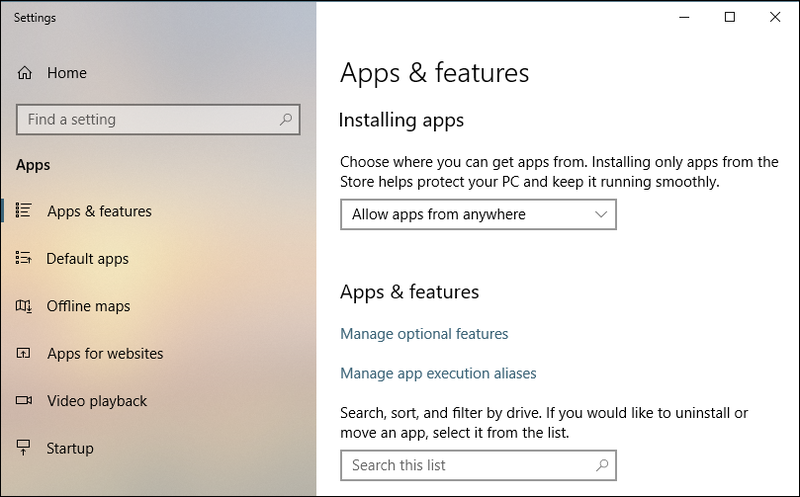 Turns out that it’s pretty much impossible to completely eradicate OneDrive from your Windows system because it’s rather baked into much of the modern Microsoft software, including Windows itself. You can, however, stop it from launching at boot up and then as long as you don’t access it, you should be able to ignore it! You can see the match – Apps & features – so go ahead and click or tap on it to proceed. It’s not a bad idea to go through the various settings here to ensure your system is as secure as possible. 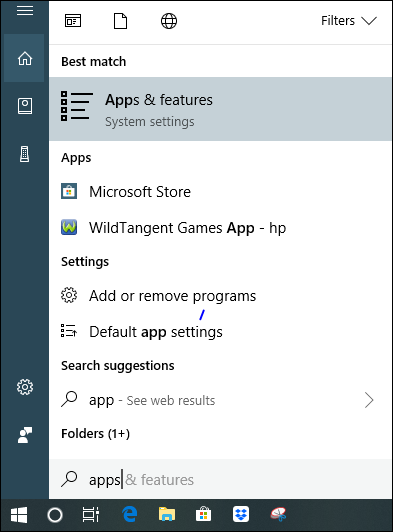 You might well also find apps and programs that you don’t want on your computer: you can delete them from this page too (just scroll down to get started). Be careful turning too much off, but do go through the list and ensure that it’s all as you want. Notice that I have Dropbox start up on boot, along with Microsoft OneDrive. To stop OneDrive launching in the future, it’s a simple click or tap to change “On” to “Off”. Do that, close the window and restart your computer. No more OneDrive. And that’s how it’s done. Good luck! Pro Tip: We have a ton of Windows help on the site. Please spend some time exploring our tutorials to get the most out of your computer!